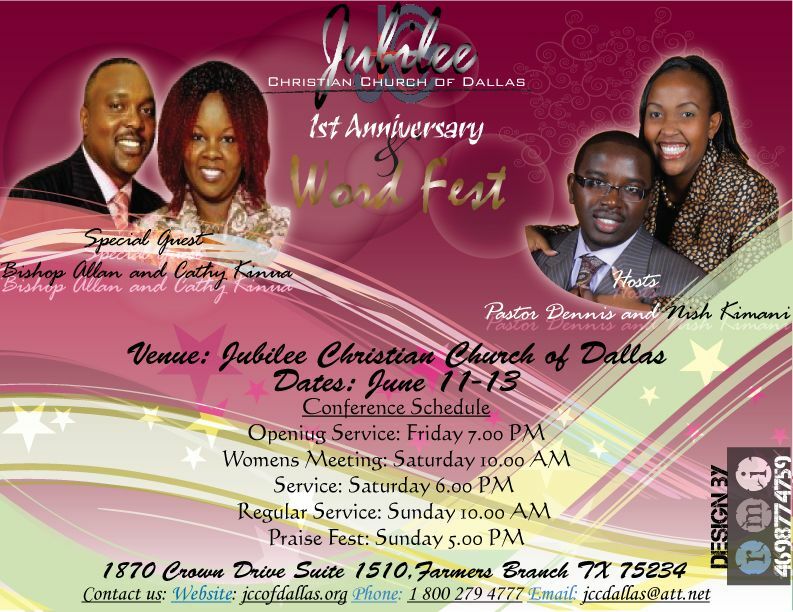 Pastored by Dennis & Nish, Jubilee Christian Church of Dallas is part of Jubilee Christian Churches worldwide led by Bishop Allan & Cathy Kiuna. At JCC we teach you faith so you can fight for your destiny. We equip you to be the best that you can be. Yes, God is still in the saving and healing business and has your best interests at heart. Breakthrough is possible and your persistence in faith will break that resistance! It is our mandate to speak to the “sleeping giants” of the city who like Gideon were created for significance and yet they live in fear. When the angel of the Lord appeared to him, Gideon was “threshing wheat at a winepress to keep it from the Midianites” (NIV). Threshing was always done at the threshing floor but for fear of these vicious enemies, Gideon had to secretly thresh at the winepress. Vs. 12 of Judges 6 says “And the angel of the LORD appeared unto him, and said unto him, The LORD is with thee, thou mighty man of valour”. The NIV translation says “Mighty warrior”. Gideon must have been startled that someone would call him a warrior yet he was hiding for fear. His very name means “one who cuts down”. See, Gideon was anointed to “cut down” the enemies of Israel and save a generation. Within him was trapped a warrior waiting to manifest. This entry was posted on June 3, 2010 at 10:24 PM	and is filed under Announcements. You can follow any responses to this entry through the RSS 2.0 feed. Both comments and pings are currently closed.